I’m suffering roomie withdrawals from SDCC, so I’ve been gravitating towards book-themed goodies (a favorite of my roommate, Rachael’s) over the past couple days. She and I shared many great conversations on books, and I now have a giant list I need to get started on. 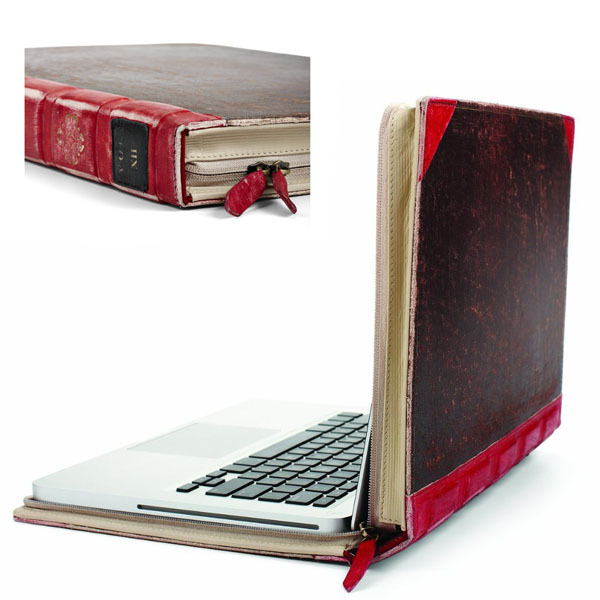 When I’m not reading, I want to rock my laptop in this book case so I can seem just a bit more intellectual.